The RIAA has lodged documents in the ongoing case of the Record Industry vs Jeffrey Howell that argues that ripping music from legally purchased CD’s is illegal. If the Judge rules that the RIAA is right, any person in United States who has ever ripped a legally purchased CD will become a copyright thief and a potential target of the RIAA, and that means just about every iPod owner in the country. The case itself may not find in favor of defendant but not rule that CD ripping is illegal. 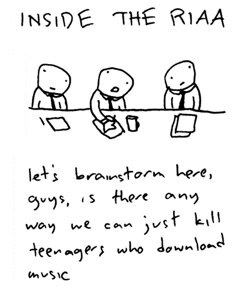 Howell is accused of sharing files via Kazaa, but his sole defense is that he did not share those files and they were for personal use only, hence the RIAA’s disturbing argument.